Can We Bring Our Dogs To Our Engagement Session? We get this question repeatedly... And the answer is YES! We have dogs ourselves so we're fur-baby friendly. We feel that they are a huge part of your family so why shouldn't they be included in your engagement session? They don't have to be in all of your pictures, but including them in a few is a great idea! Alex + Amanda were thrilled that they could bring Tucker and Laila along. 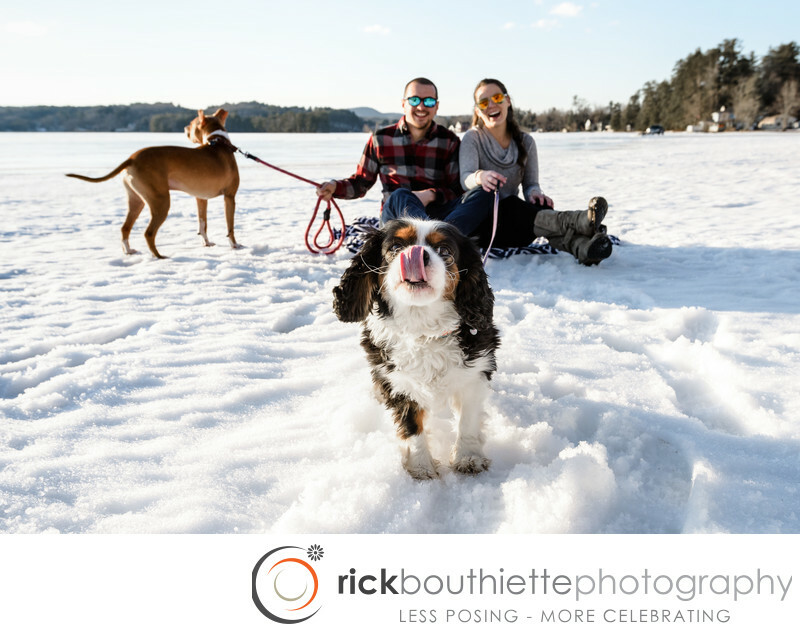 We got some great "family photos" of them all on the still frozen Lake Winnisquam in New Hampshire's Lakes Region, then Laila decided to be more adventurous and came toward the camera "licking her chops" for this picture.